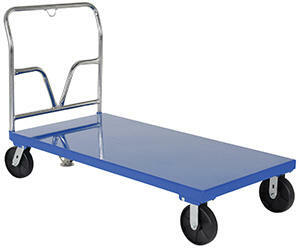 Solid, smooth steel deck is all welded and features structural reinforcement underneath for extra strength. 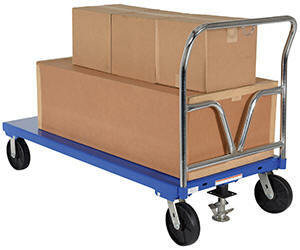 Includes one removable high-polished steel handle and rolls smoothly on (2) rigid and (2) swivel casters. 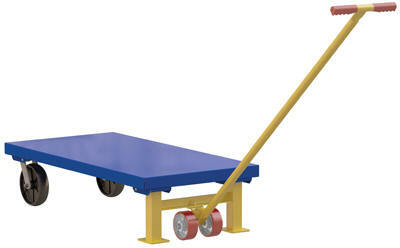 Series SPT comes standard with a floor lock and a durable blue powder coat finish. 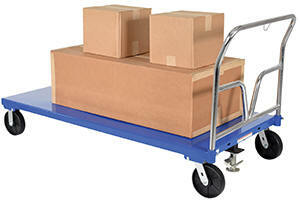 Transport large items easily with our Semi-Live Steel Skids and Lever Jack. 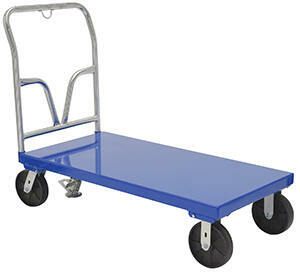 The unit is constructed of a baked-in powder-coated toughness 12 gauge thick steel platform with two (2) rigid 6" x 2" glass-filled nylon casters for smooth portability. 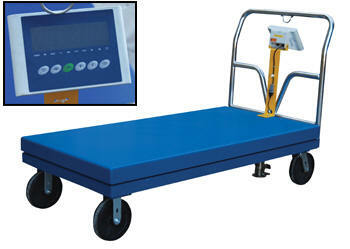 The front of the unit includes attached legs which create stability once unit is in the level position. 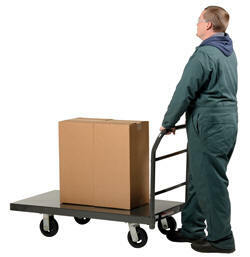 The optional lever jack allows the unit to be pulled while still maintaining an ergonomic position. Handle measures 58" long.